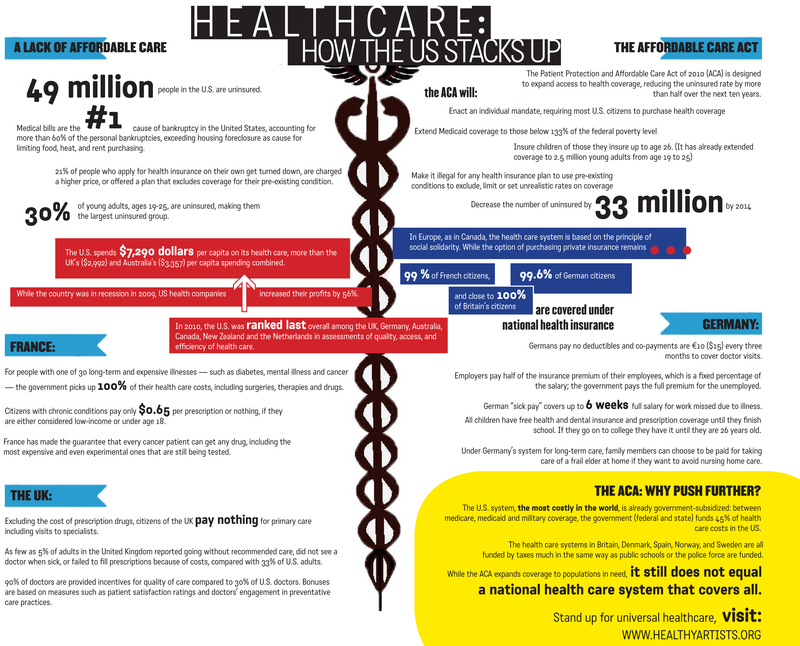 Healthcare: How the US Stacks Up. By Weenta Girmay, 2011. To get involved with universal health care advocacy, reach out to an organization in your city or state. Many of these organizations are “Health Care 4 All”s (e.g. – Health Care 4 All PA, Health Care 4 All CO) or have single-payer in their titles (Vermont for Single Payer). To help the cause on a national level, we highly recommend talking with Healthcare-Now! and Physicians for a National Health Program. The movement needs your help, so reach out. Together we can build a better healthcare system.